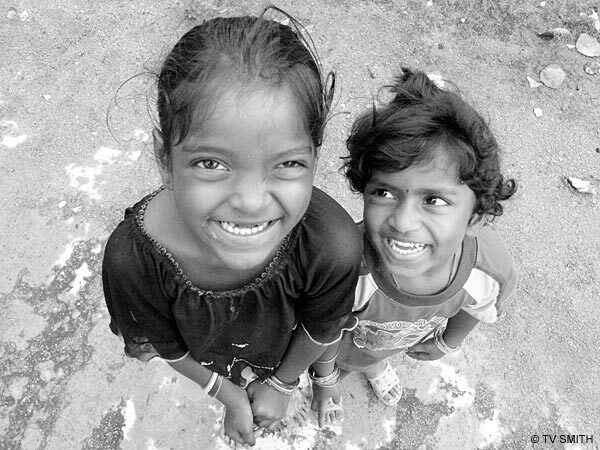 Carefree children in a rubber plantation with fabulous smiles that will make you smile right back. Conventional wisdom and experience will probably get you down on your knees and photograph the kids from their level (left). Which is not a bad thing to do normally. In this case, I was faced with a number of challenges. The background was overly busy and the sky was too bright. Instead, I went up close and almost overhead in order to isolate them. The unusual angle created more giggles and a more interesting portrait.